Last week we blogged on the requirements of procedural fairness in the issuing of Orders. The case of Tweed Shire Council v Furlonger (Furlonger) raises another issue with Orders also rooted in the rules of procedural fairness. This appeal was all about a technical problem with the service of documents. The service of a document is a legal concept which ensures that any person who is required to be given a copy of an application to the Court (or any other legal document) is given it in a way which complies with the relevant legal rules. There is a vast array of documents related to planning and environmental laws that need to be served. Rules of service have been formulated to balance fairness to the person being served, to ensure they receive proper notice, with fairness to the serving party, in undertaking reasonable, not extensive, steps to provide the legal document to its intended recipients. Of course the balance tips one way or another depending on the subject matter of the documents to be served. 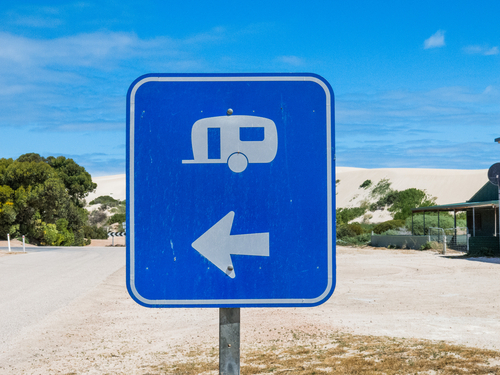 The case touches on an important part of the Australian tourist landscape – Caravan Parks. It involved the owner of a site within the Hacienda Caravan Park on the Tweed River failing to comply with an order issued by the Council under the Local Government Act 1993, due to that owner’s failure to comply with another statutory instrument – the Local Government (Manufactured Home Estates, Caravan Park, Camping Grounds and Moveable Dwellings) Regulation 2005 (the Local Government Caravan Park Regulation). remove an added portion of roof over the entrance of the annexe. an associated structure must not be designed or modified so as to be usable as a habitable room. As a result of the owner’s failure to comply with the order due to the unlawful works, a summons was issued by the Council which commenced the subject proceedings. The owner, however, pursued a ‘strike out motion’ asking that the proceedings be summarily dismissed, mainly on the ground that prior to being served with the summons in June 2014 she was unaware of the order and an earlier Council notice of intention to make the order, which was required to be given before the order was served. alternatively, the defendant had made out the defence that she was unaware of the fact that the activity was the subject of the order. As mentioned earlier, we blogged last week on a decision which reinforces the obligation to afford procedural fairness in the issuing of orders, and specifically what kind of notice should be provided where the legislation is silent as to the extent of notification required. The case in Furlonger was quite distinct as for the type of order issued, the legislature had made it clear how the opportunity to be heard should be afforded. placing a copy of the order in the Owner of the site’s mailbox. Justice Biscoe accepted the defendant’s unchallenged evidence that she did not receive and was not aware of the notice or the order until after the summons commencing the proceedings was served. The case hinged ultimately on section 710 of the LG Act (Service of notices on persons). According to Biscoe J, this section is “not a code for service”. Biscoe J noted the section’s similarity to the service of documents provision in the Corporations Act 2001 (Cth) (s 109X of the Corporations Act 2001), which has been held to be a be ‘facultative’ provision, ‘not mandatory or exhaustive’. The order was not served in a way authorised by s 710 because it was simply left in the Site’s mailbox. The means of service authorised by s 710 include by posting by prepaid letter addressed to the last known place of residence or business of the person to whom it is to be served: 710(2)(c). Since the destination of a prepaid letter is generally the mailbox of such an address it is curious, if not anomalous, that s 710 does not authorise it to be personally delivered directly to the mailbox. In my opinion, in the context of the Local Government Act, if a person received a notice hand delivered to their mailbox, it has been served even though that is not a method of service authorised by s 710. But, in my opinion, where a person does not receive a document hand delivered to their mailbox, that not being a method of service authorised by s 710, it has not been served. That is the present case. In the alternative, Biscoe J held, on the basis of the defendant’s unchallenged evidence that she was unaware of the section 124 order, that the defendant had satisfied the Court that there was a sufficient defence under section 628(5) of the LG Act. The case is relevant beyond those with Caravan Park shacks. Authorities serving documents should make all attempts to ensure documents have been received, particularly where further enforcement action may be necessary. If possible, effect personal service, or alternatively fix the notice to the relevant premises, or hand deliver it to the premises on a person apparently aged over 14 years resident or employed at the premises. Making a record of this service is good practice. Authorities should check whether there are specific service requirements provided for in the legislation they are issuing the Orders pursuant to. For those served with a notice or an Order, it is important to revisit whether the document has been served in accordance with the processes set out in the legislation which the document is served under.